September was a good month overall for Fiat-Chrysler. So many vehicles in various brands did extremely well. Jeep and Dodge set numerous sales records and helped propel the company to have one great September. One of the other places where the auto maker did so well was in the truck segment. 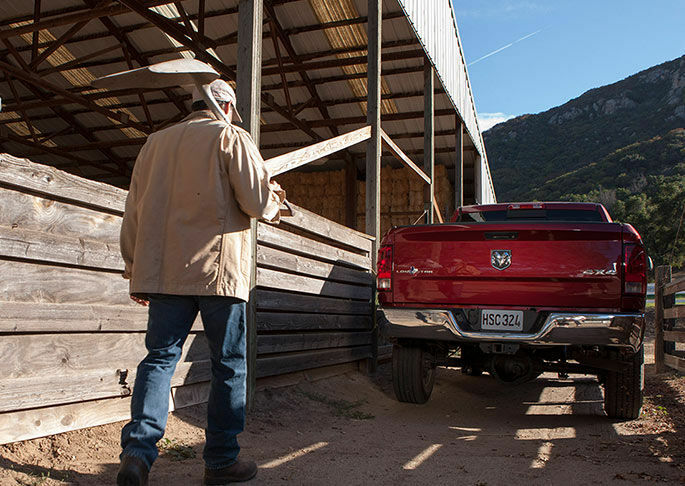 Ram trucks continued to have an increase of sales, in so much that two trucks were some of the fastest selling in September. PickupTrucks.com highlights the ten fastest and slowest pickups sold in the month of September. The way to find out which truck is the fastest is done by seeing the supply of the truck. If a pickup has less than a 30-day supply, which means it’s on the fastest list. Without further suspense, the trucks in question were the 2016 Ram 1500 and Ram 2500. The 2016 Ram 1500 has been one of the more popular trucks being produced at the moment and has been making a slow and steady march to being one of the dominant forces in its segment. It has been continuously awarded by numerous critics and drivers are catching on to why. As for the 2500, it was the only heavy-duty model to break into the top 10. The ProMaster serious of commercial trucks also had great sales. Their sales were up 4 percent, making it the brand’s best September since 1996. 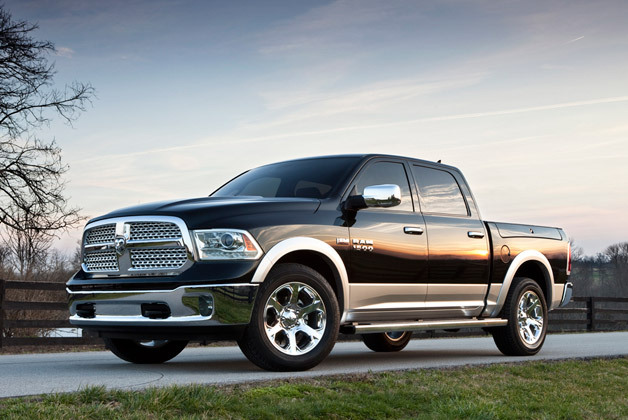 If you’re interested in learning more about the Ram 1500 or other Ram trucks, contact us at Bayside Chrysler Jeep Dodge. View our new and used line-up on our website. Be sure to download our mobile app to keep track in real time of your vehicle when it is brought in to be serviced. Like us on Facebook, follow us on Twitter, and subscribe to us on YouTube to see more auto news and monthly specials. Would You Want a Ram 1500 Hellcat? The Hellcat is the most talked about thing in the muscle car world. What it has done to the Charger and Challenger is certainly impressive. If you’re someone who cares about performance, there is a reason why it is the talk of the auto industry. That brings a question to mind, however, of just what other vehicles should Dodge be looking to include in the Hellcat name? Could a Ram 1500 get the Hellcat treatment? Why indeed, it would be interesting to see what the engineers at Dodge could come up with if they put their Hellcat knowledge and power into a Ram truck. The article continues that the parts and pieces are already available to the Ram parent company and it would just take some time and engineering, but it certainly sounds plausible. I guess the real question is if truck drivers would be interested in having a 1500 Hellcat. Is it something that sounds good on paper or is there a genuine market for it? What do you think? Would you be interested in a Ram 1500 Hellcat? 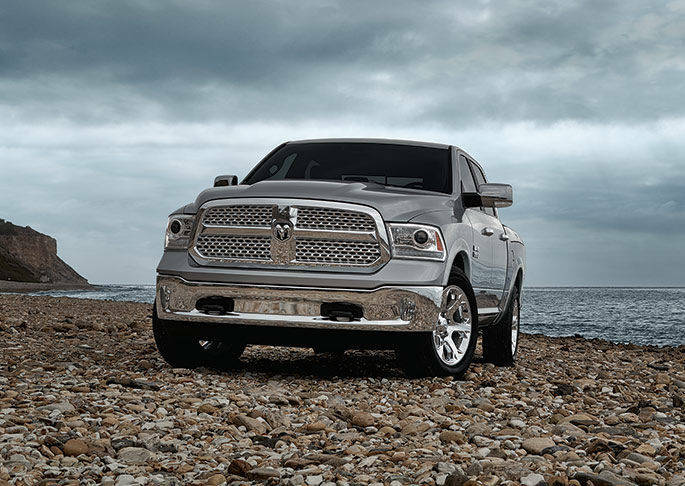 Learn more about Ram trucks, including the 2015 Ram 1500 by contacting us at Bayside Chrysler Jeep Dodge. View our new and used line-up on our website. Be sure to download our mobile app to keep track in real time of your vehicle when it is brought in to be serviced. Like us on Facebook, follow us on Twitter, and subscribe to us on YouTube to see more auto news and monthly specials. 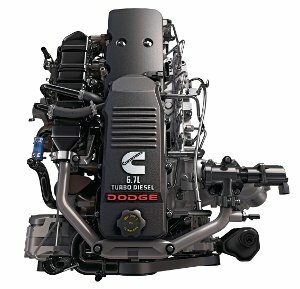 Cummins Preparing Next Generation Engine? Change seems to be coming for the engine inside of Ram trucks. According to Pickuptrucks.com, Ram is rumored to be introducing a new generation of Cummins turbo-diesel engine for their 2014 models. In order to deal with the emission regulations, the engine maker may be looking to no longer use the metal catalyst strategy of the past. Instead, they could be using urea-injection technology. EPA regulations are different for commercial chassis-cab trucks. That means the Ram 3500, 4500, and the 5500 already have a diesel exhaust fluid to take care of the nitrous oxide emissions. The HD trucks that Ram has, the 2500 HD and the 3500 HD have the problem that the current catalytic-converter like filters they use is that the price is increasing. The article states they believe the reason why Cummins is steering away from the the precious metal catalyst is due to such a steep increase in cost and that switching to another technology could help lower costs. That and with the emissions regulations starting to get stricter meaning that new ideas need to happen so Ram trucks meet them. Everything right now is still mainly speculation, but it definitely seems like a good idea to fix a problem that is coming soon. Only time will tell how close this prediction is. Bayside has the full Ram truck line-up online at their Showroom. Make sure to like us on Facebook and follow us on Twitter to be the first to know what announcements that Ram has. 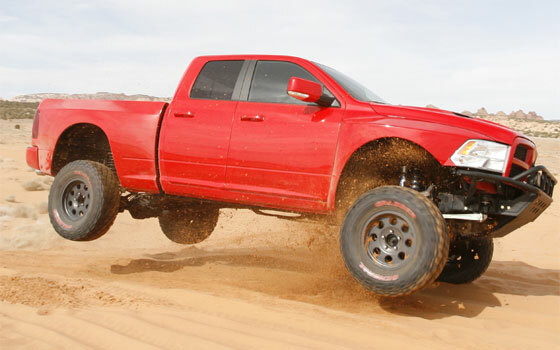 Ram has been really prepping up the 2013 Ram 1500 to come out the gate strong. Not one to be outdone by the upcoming Dodge Dart, Ram wants to steal some spotlight. Pickuptrucks.com has a more detailed breakdown of just how Ram is making sure that the truck enthusiasts of the world will be looking their way when the new 1500 hits the streets. The website quotes an interview with Bob Hegbloom, the director of Ram brand, in which he lists off the improvements being implemented into the new design. Many of these new tech upgrades are being made to improve things such as the pickup’s fuel economy in the way of a new Pentastar V-6 engine with an eight speed transmission. There’s also an extensive use of lightweight materials for this goal. It’s still going to be several months before Ram puts out the stats on the fuel economy to see if they can pull it off. The new 1500 is expected to hit the dealerships this fall. No pricing has been announced as of yet but it hasn’t left truck drivers uninterested in speculating. The move to better efficiency is definitely a step in the right direction. The market is there for a truck, even the heavy duty models, with a lower initial investment and maintenance costs. Bayside Chrysler Jeep Dodge has the Ram line-up online to check out. Be sure to also like us on Facebook and follow us on Twitter so you can stay up to date on all the latest news about the 2013 Ram 1500. Ram Crowned Champion in Desert Duel! Cue up the theme to The Good, The Bad, and the Ugly for this story. There was a duel in the desert. While a tad old-fashioned, the time for the showdown was even at sunrise, it seemed appropriate considering the contestants. On one end, there was the Mopar Ram Runner and on the other, there was the Ford SVT Raptor. What was this fight all about? It was all about which truck was better. The place was the Ocotillo Wells State Vehicular Recreation Area and both trucks were brought there by PickupTrucks.com for the purpose of crowning a champion on that day. They wanted to push both to the limit on a 4.73-mile loop on a desert course. When the dust settled, they were proud to announced that the Ram Runner was the winner! No matter how you choose to use it, Bayside Chrysler Jeep Dodge has all the popular Ram vehicles available to view and purchase. Like us on Facebook and follow on Twitter and you’ll see all the latest news and updates as they happen.